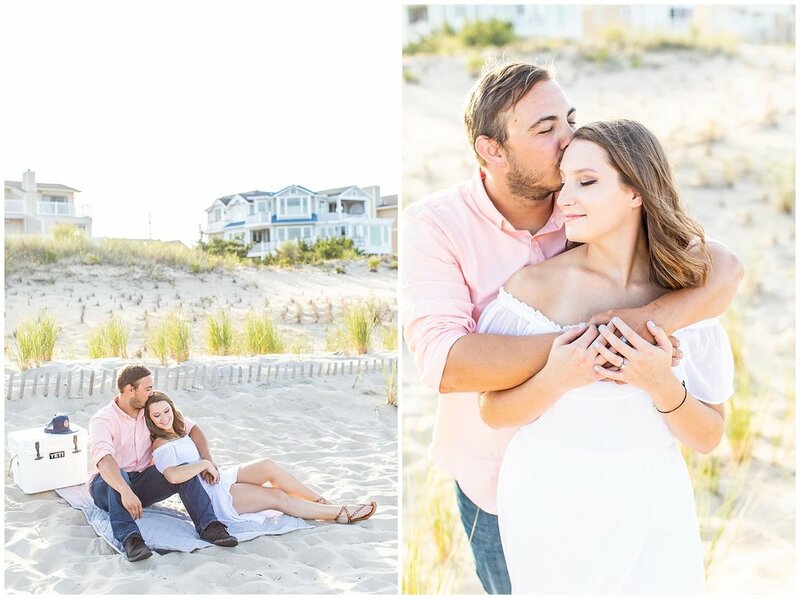 We are so excited to share this beach and champagne engagement session. 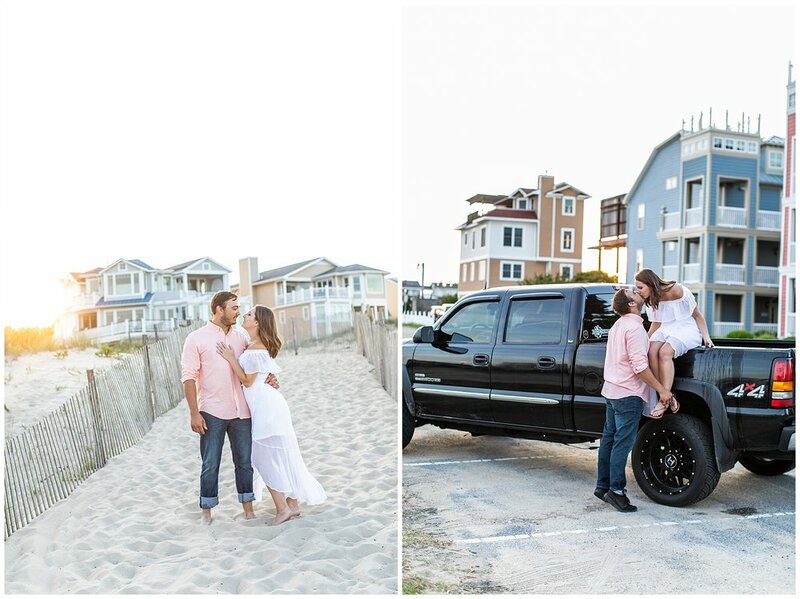 Kaity and Tyler reached out to us about doing their pictures in Fenwick because it's where they got engaged. 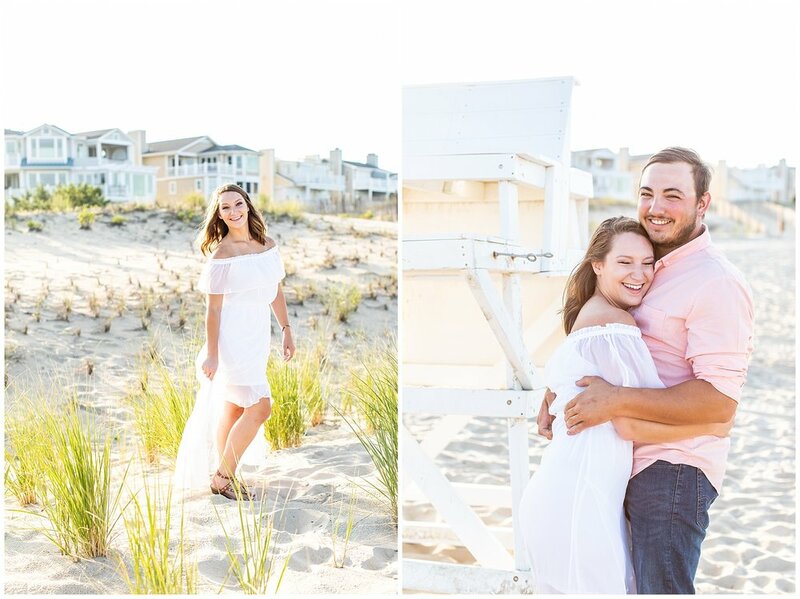 The timing worked out for us because we would be down at the beach for a week and we'd love to see them and meet up for their session. These guys were so flexible because our caveat was that we had Ezekiel (we were on vacation, hello! ), so Patrick and I would be tag teaming. Let's just say, Zeke was awesome, and so were these two. I mean, look at these love birds! 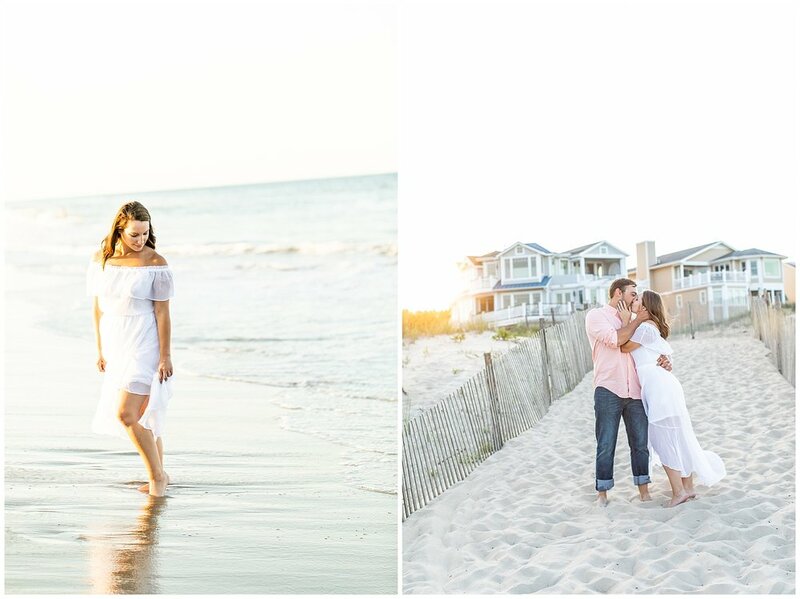 I LOVE beach shoots, especially ones that include flowy dresses and a bride willing to get her feet wet! Tyler and Kaity, what a great time we had with you both. Thanks for loving us, loving our little guy, spending the evening with us as we watched the sun set over the bay at dinner. Can't wait to see you guys again soon, and neither can Zeke!